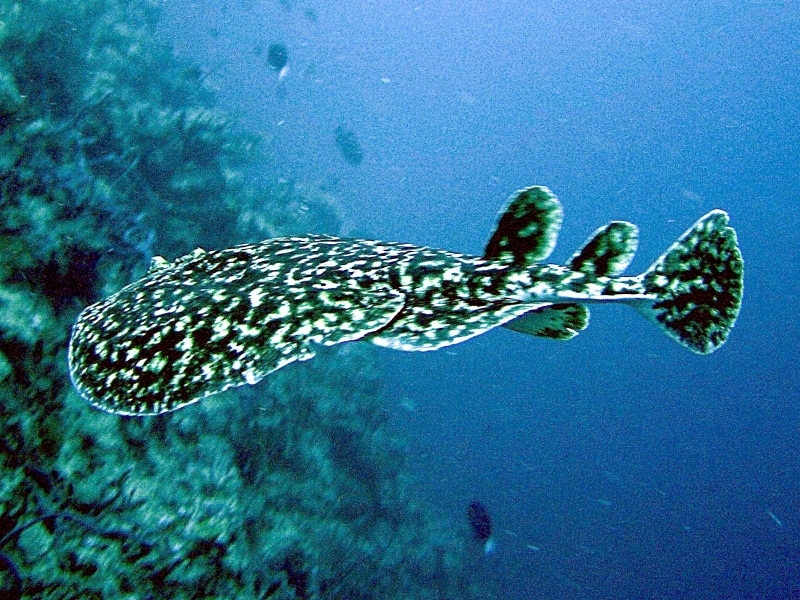 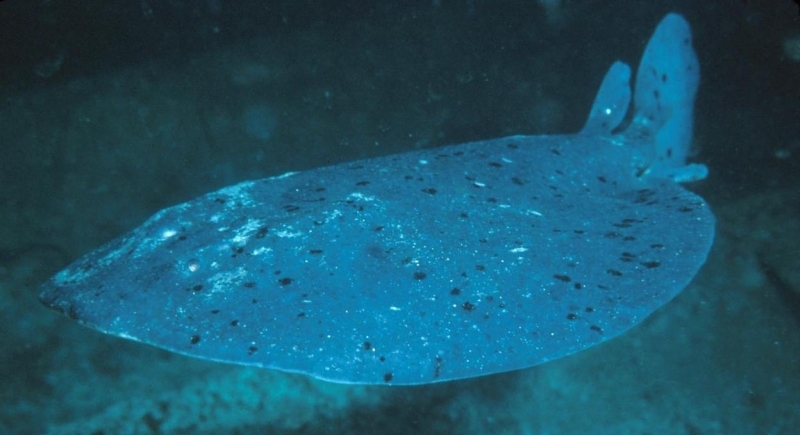 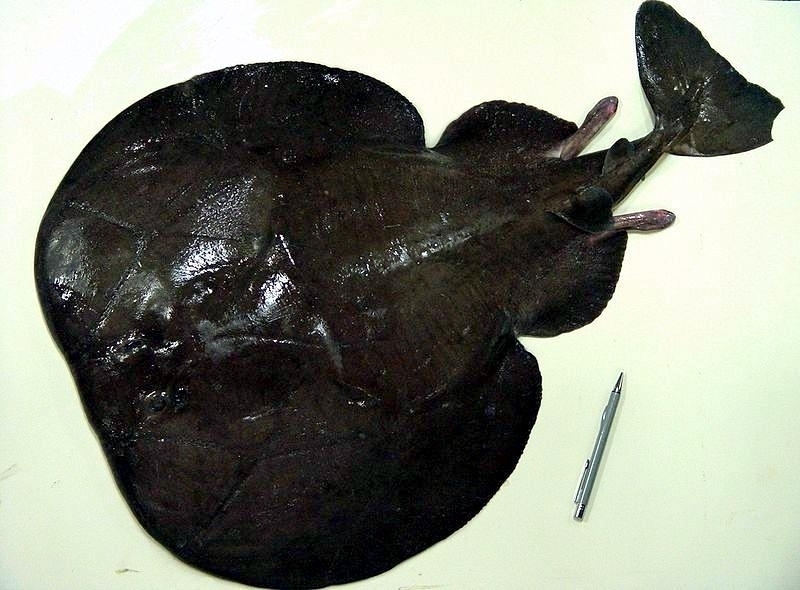 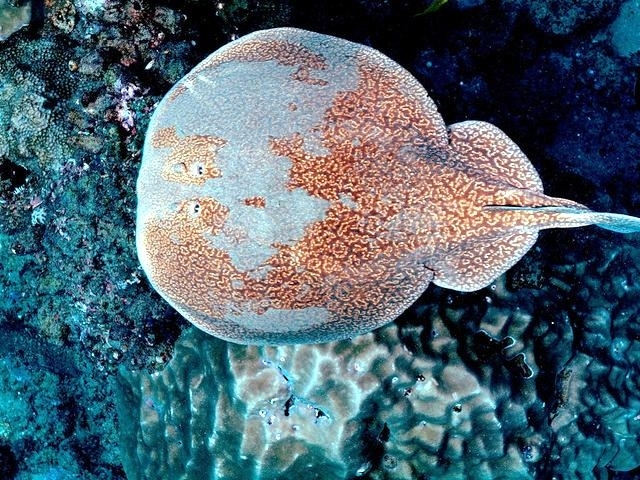 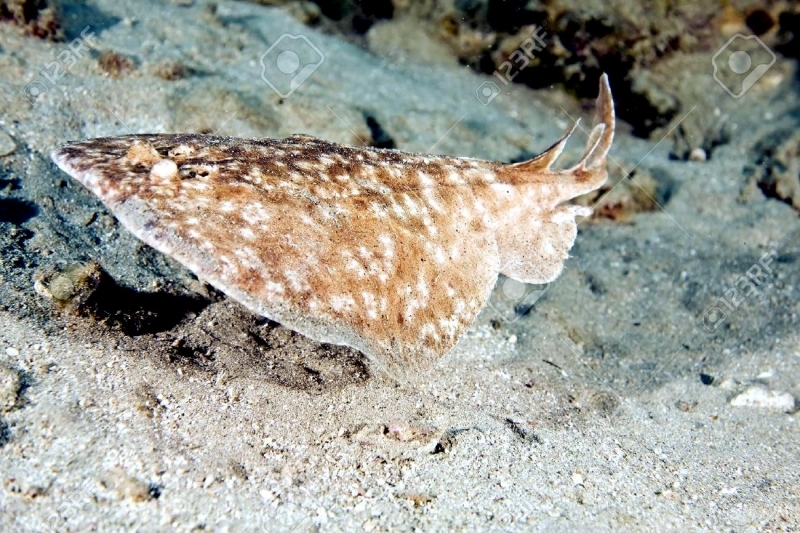 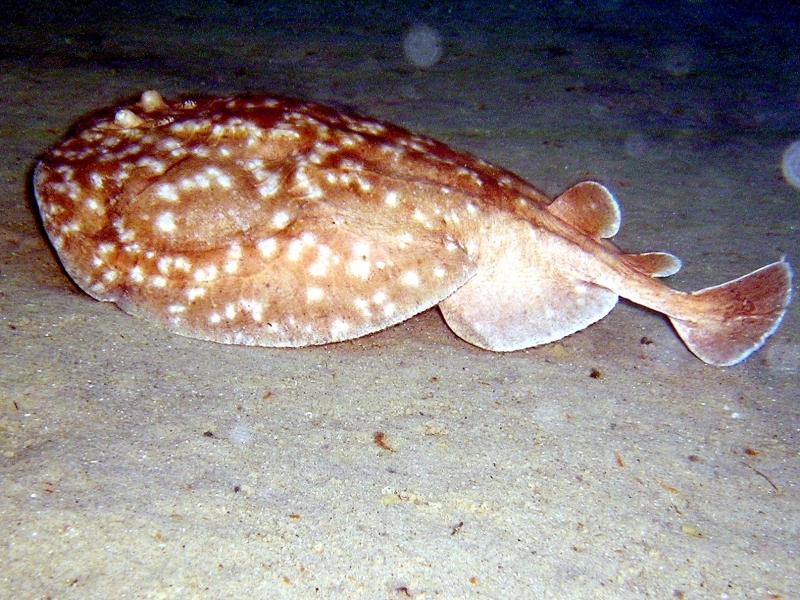 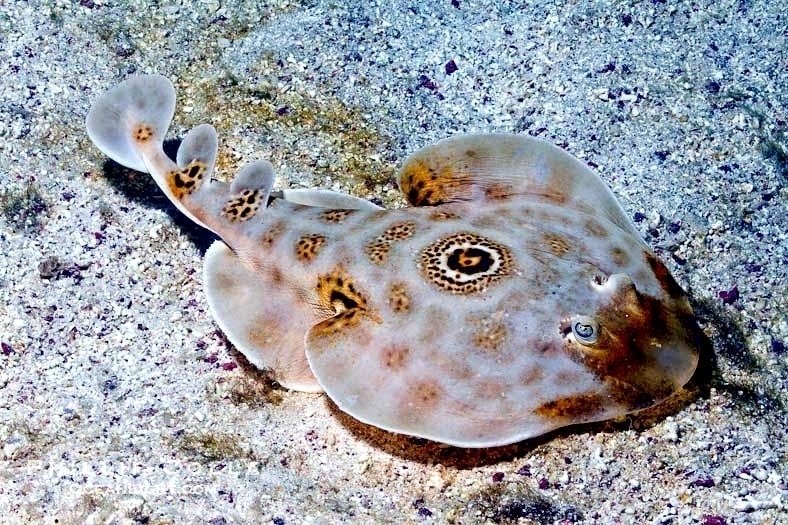 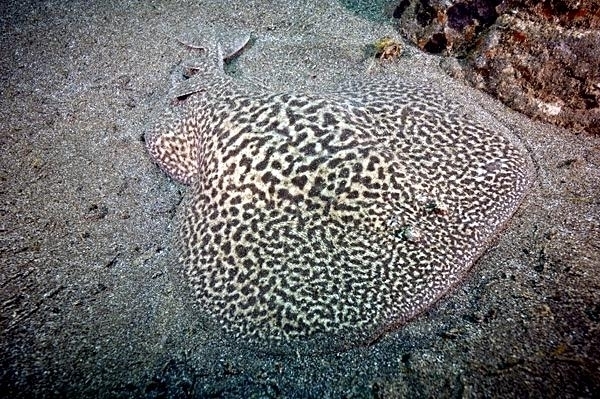 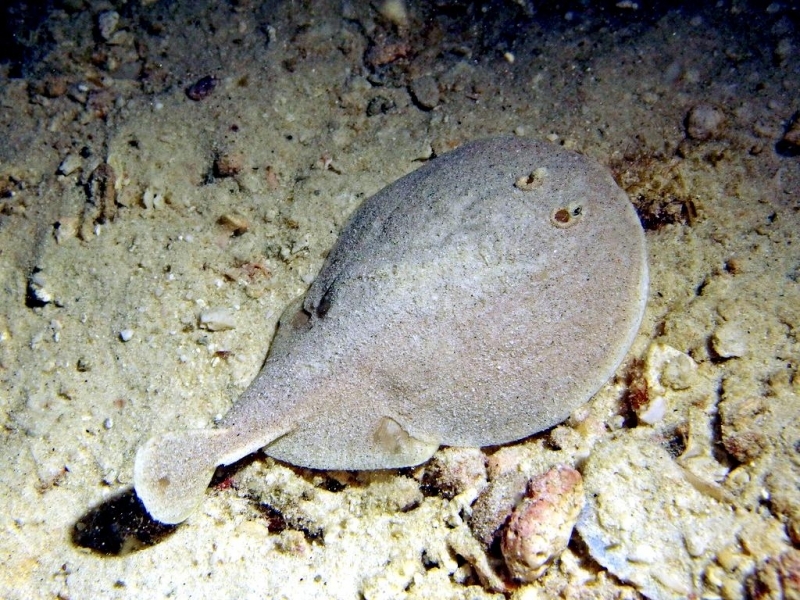 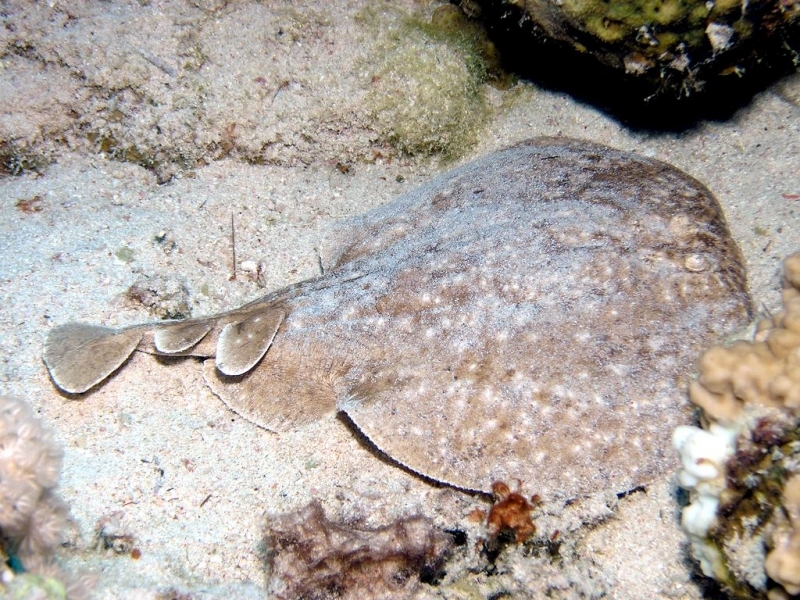 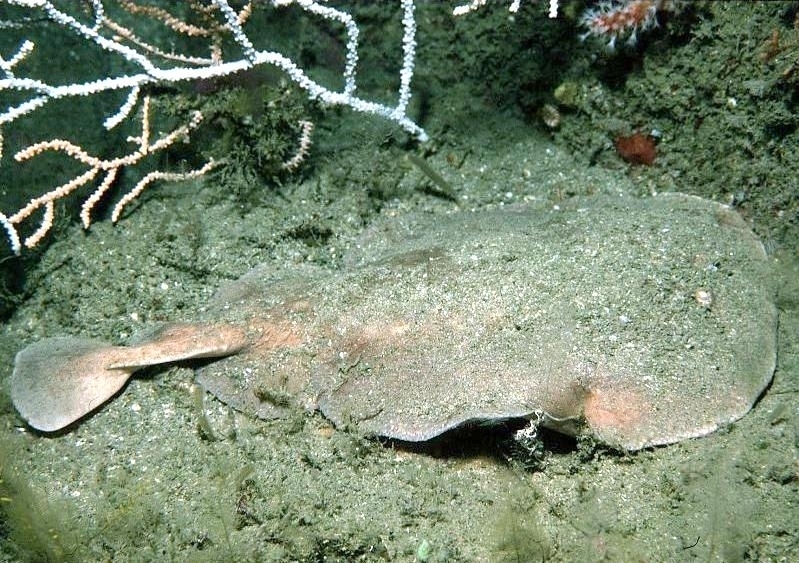 The Marbled Electric Ray is usually found on sandy or muddy seabeds at depths between 10-30 meters although in the Mediterranean Sea, it has been recorded at depths down to 100 meters. 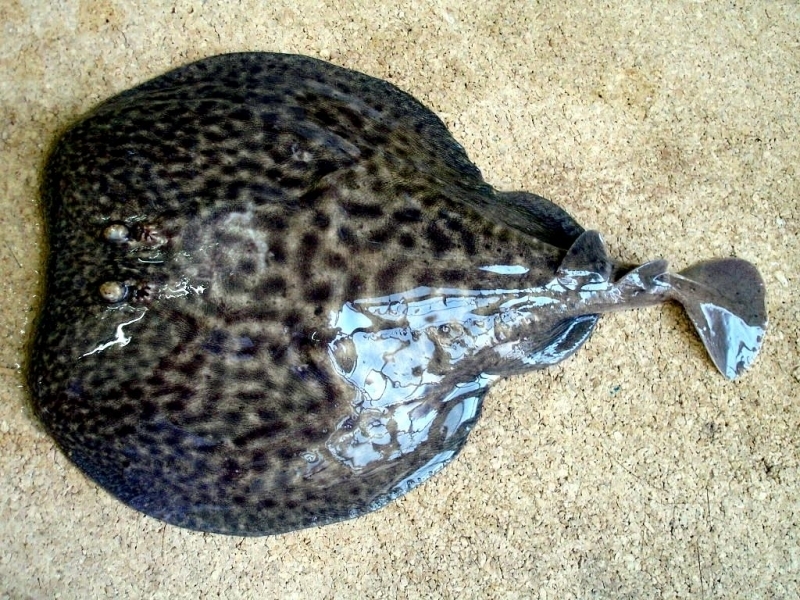 It feeds by catching bottom-living fish and stunning or killing them with an electric shock before eating them. 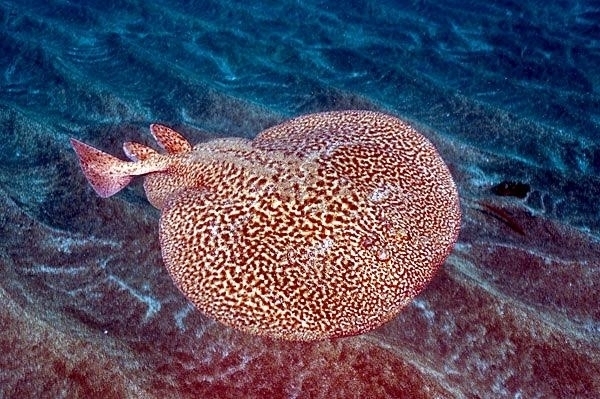 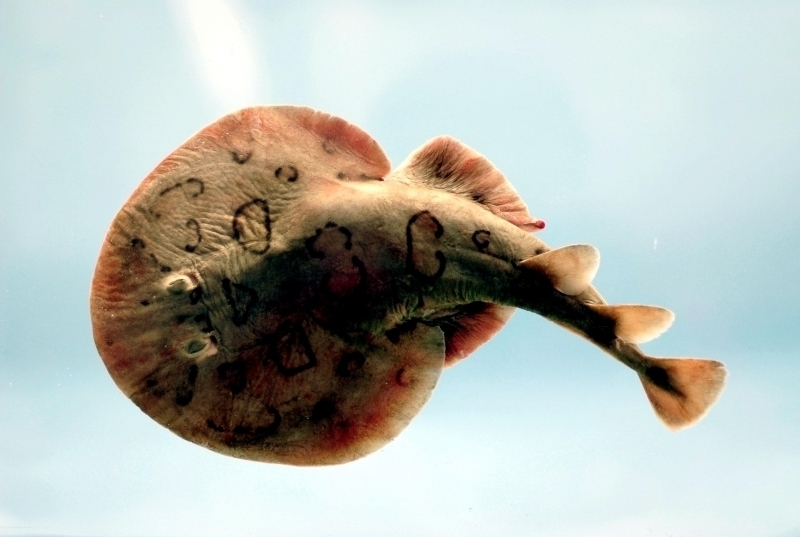 The Marbled Electric Ray is also called the “Torpedo Ray” and is generally found between 32–98 feet in water temperatures of less than 20 °C. 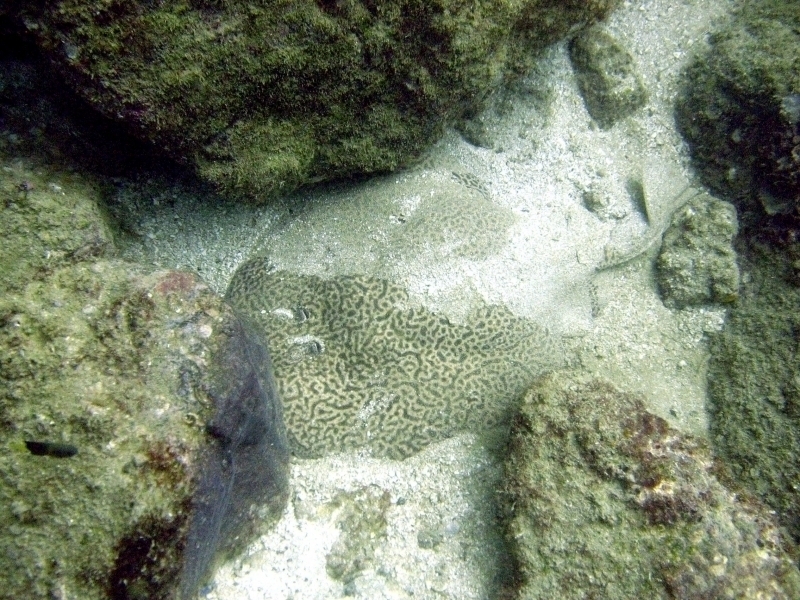 It is encountered in a variety of habitats such as sand & mud bottoms, rocky reefs and sea grass beds. 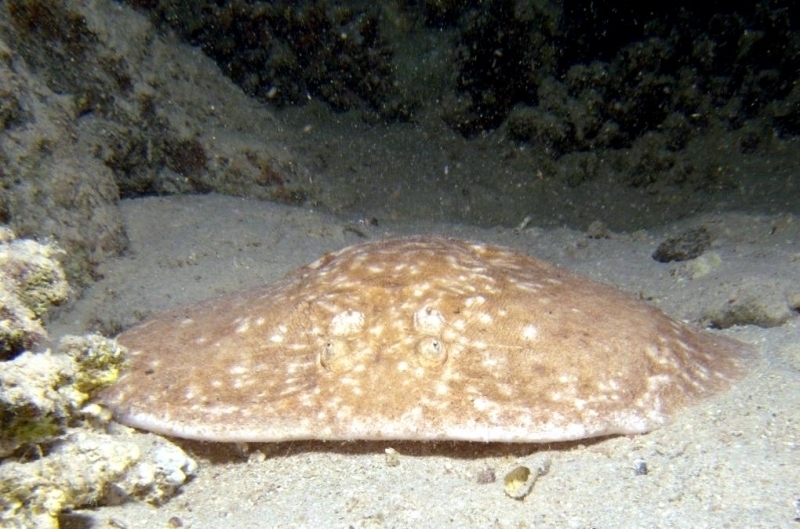 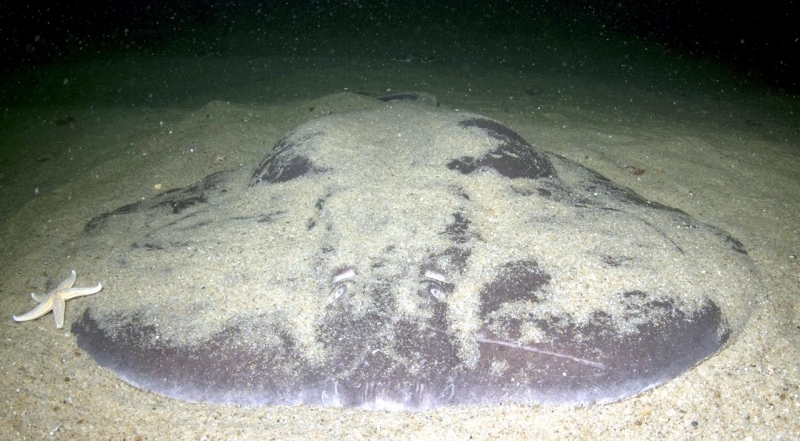 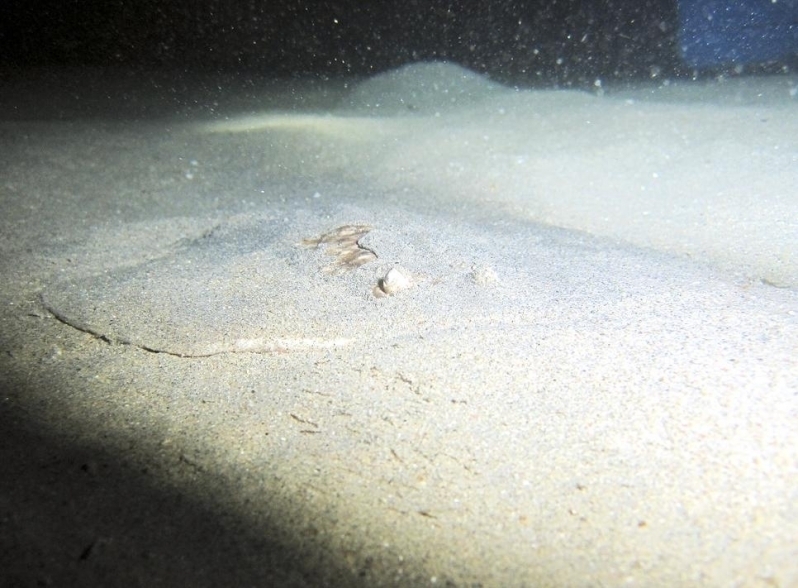 Marbled Electric Rays are active nocturnally, burying itself during the day with only its eyes and spiracles visible. 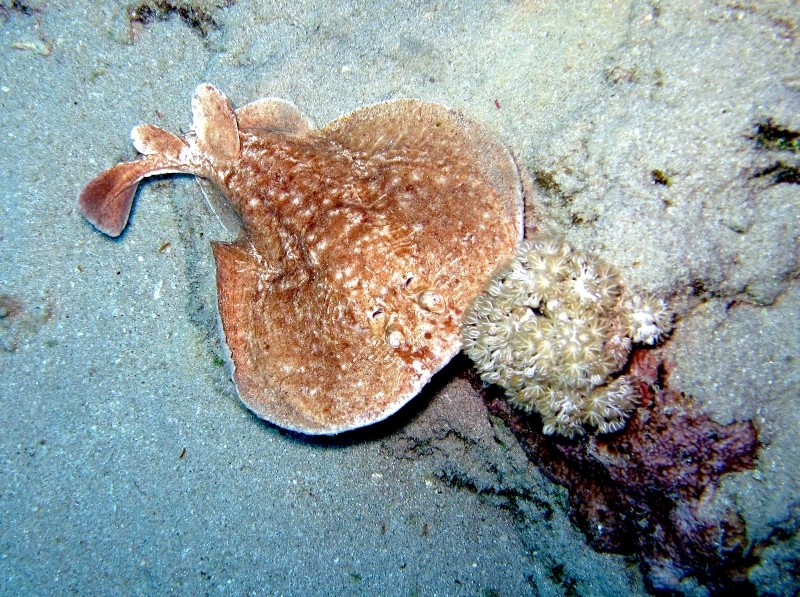 The Marbled Electric Ray is an ambush predator, ‘jumping’ on intended prey whilst emitting a series of electrical shocks to stun it. 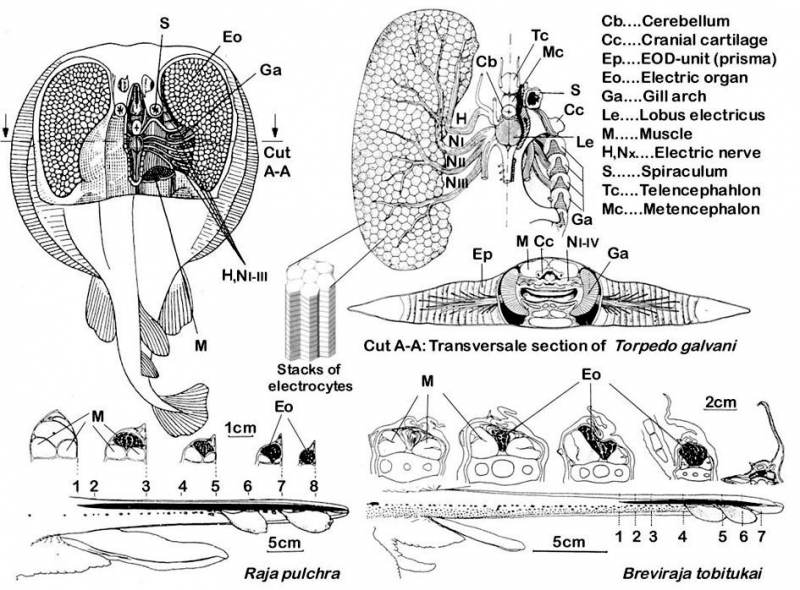 These shocks are generated by highly specialized electrogenic organs which are composed of stacks of striated muscle. 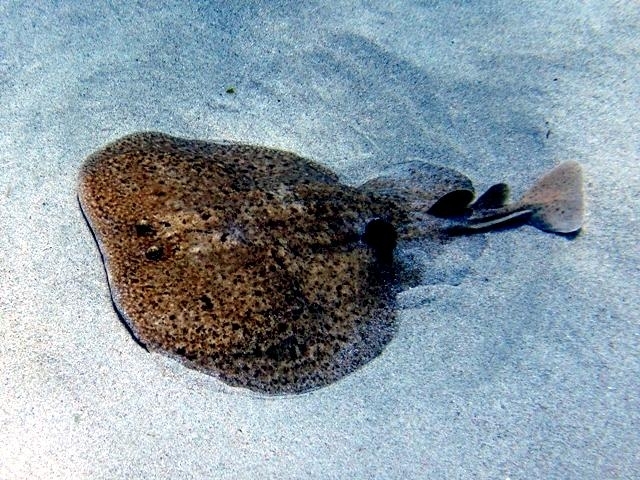 When contracted, these produce an electrical current up to 200 volts & 600 mhz. 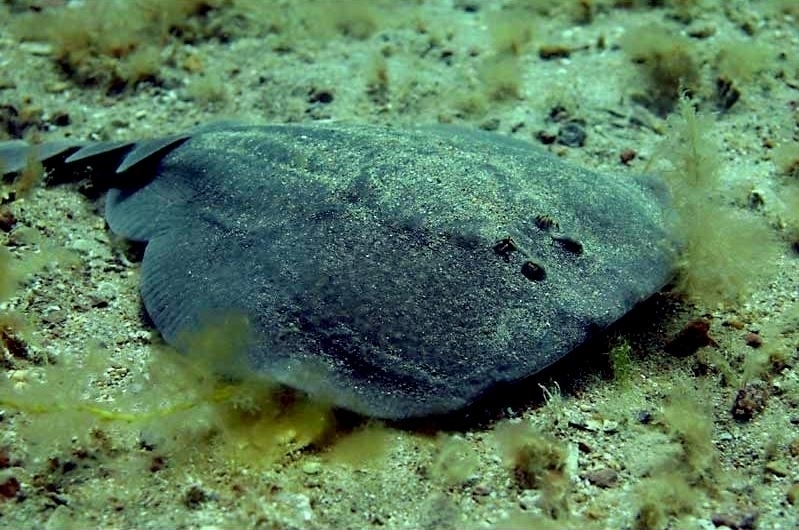 It can distend its jaws allowing it to catch & consume all sizes of prey including gobies, mullet, mackerel, bogue, pandora, damsel fish and crustaceans. 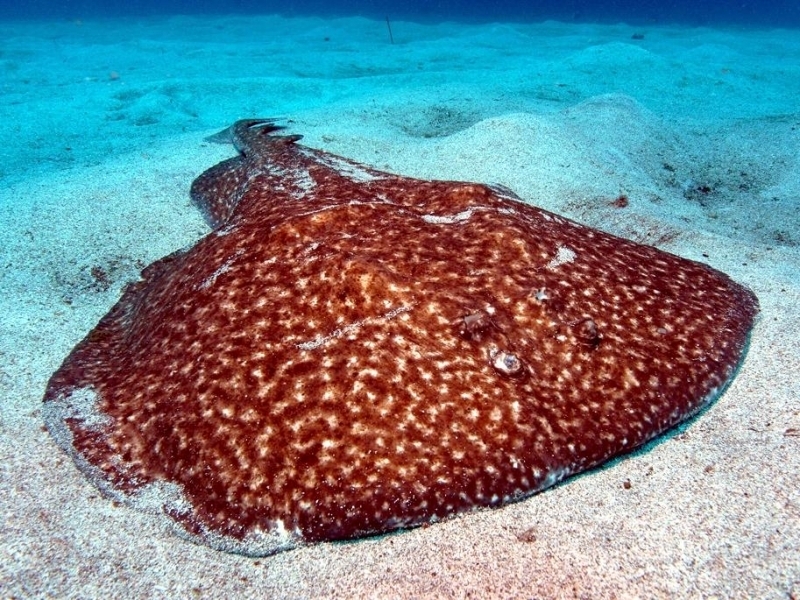 Males mature at around 25 centimeters in length, females larger at around 31 centimeters in length. 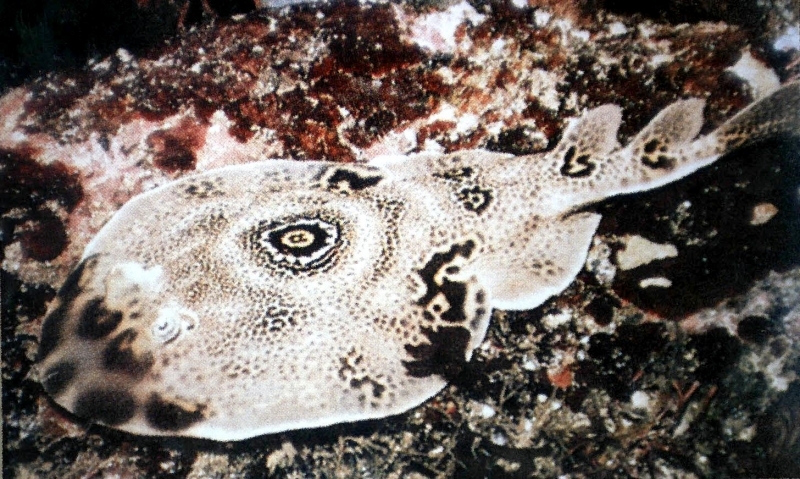 The gestation period is between 9 and 10 months. 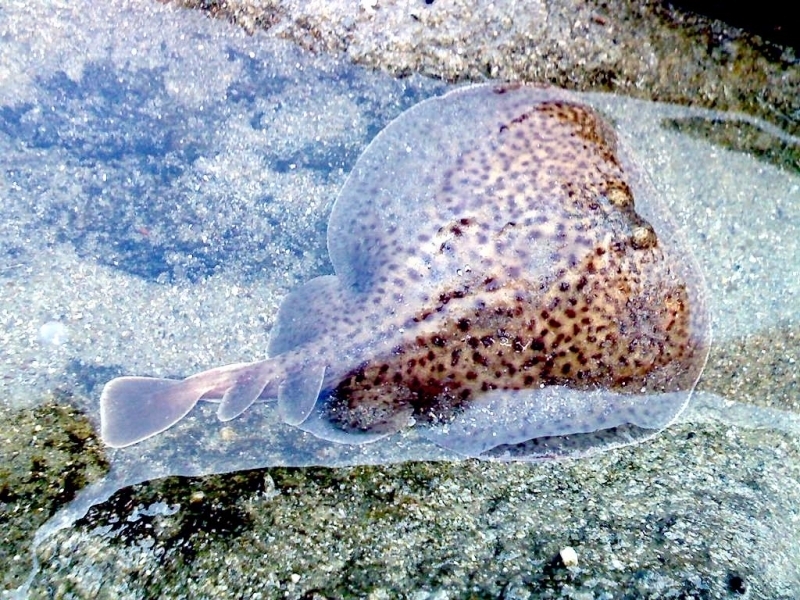 The eggs are encased in a thin membrane which is retained in the uterus. 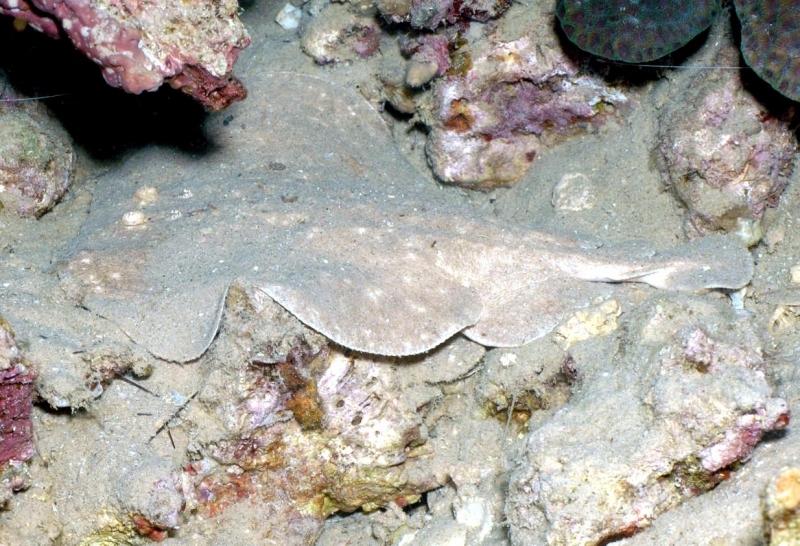 The means of nourishment varies considerably among elasmobranchs. 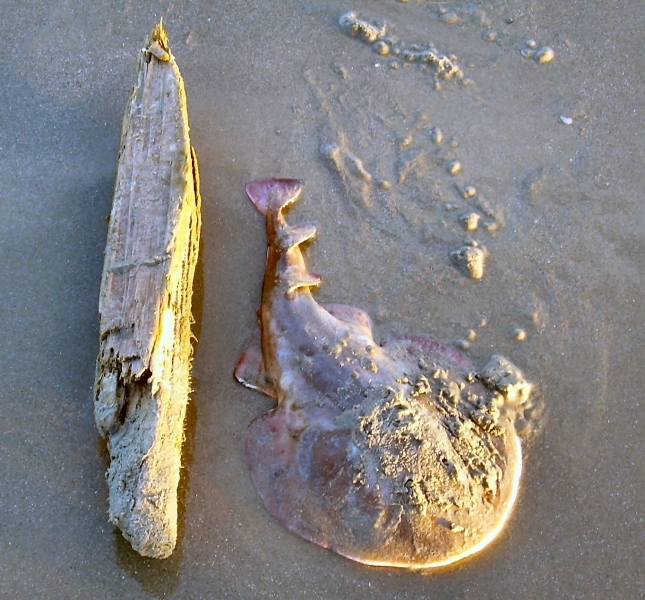 The embryo feeds initially on an external yolk sac. 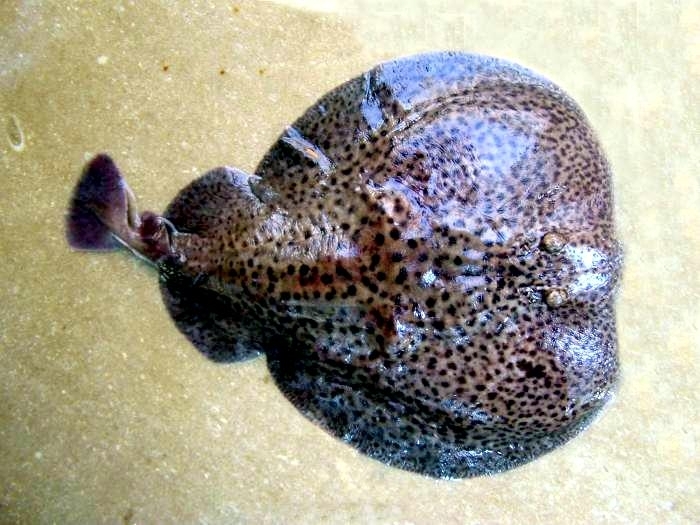 When this is depleted, they receive additional nourishment from the mother through the indirect absorption of ‘uterine milk’, a fat and protein rich histotroph. 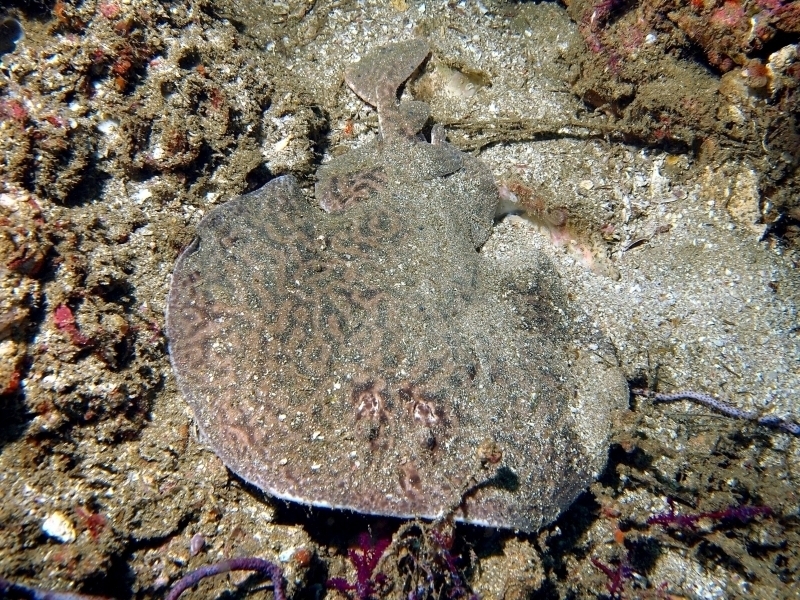 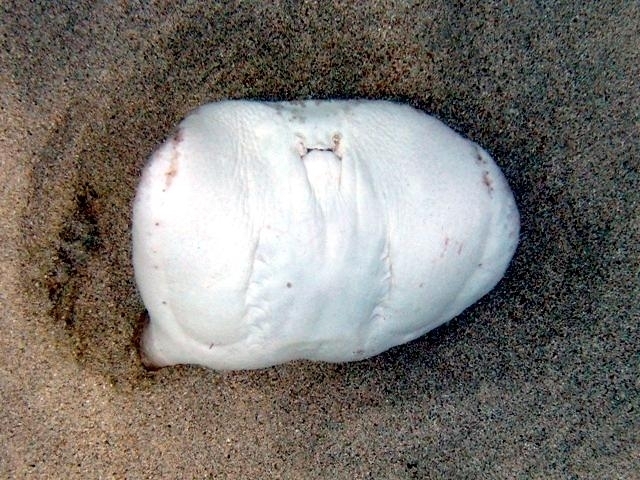 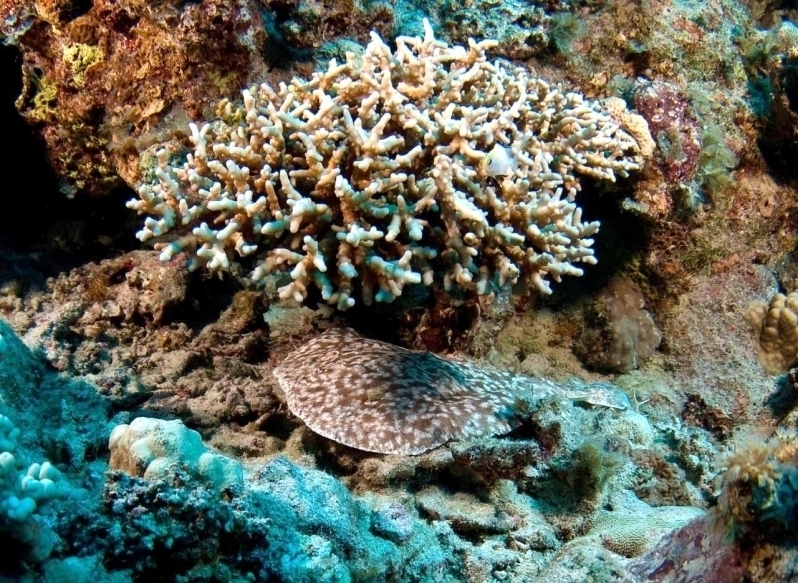 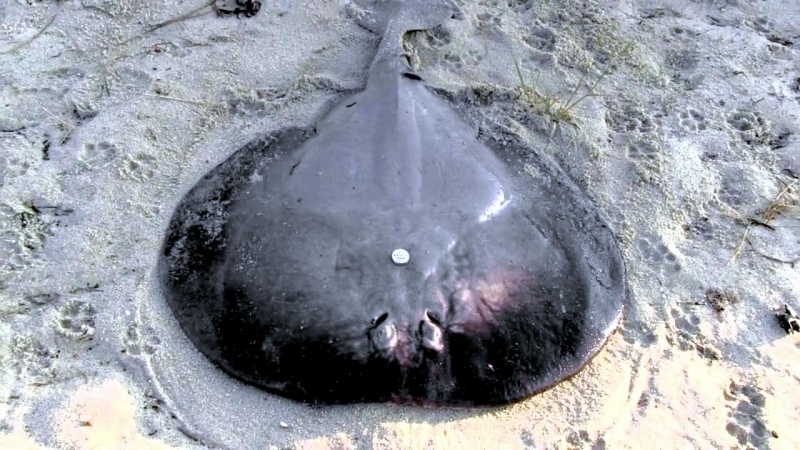 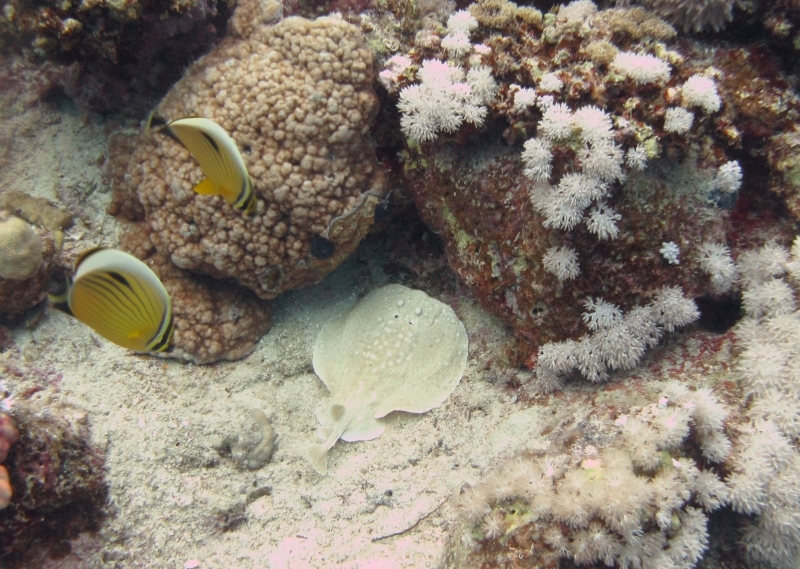 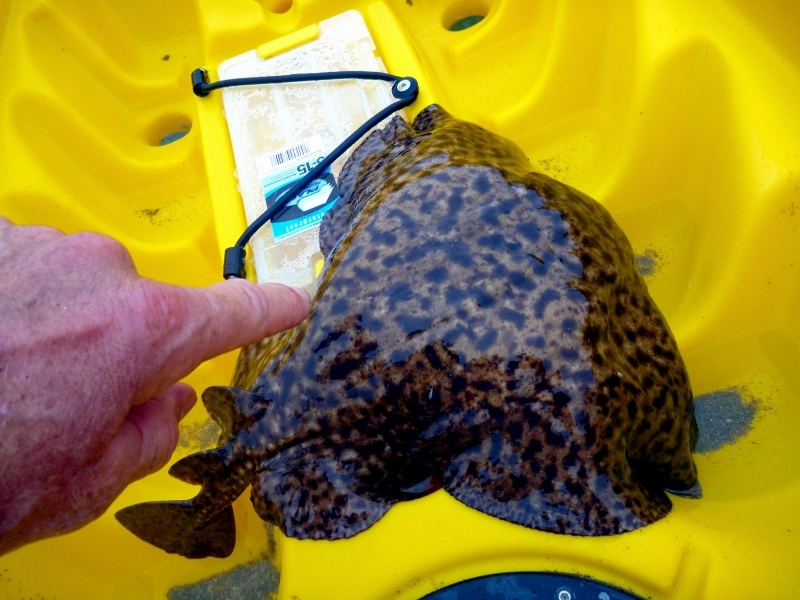 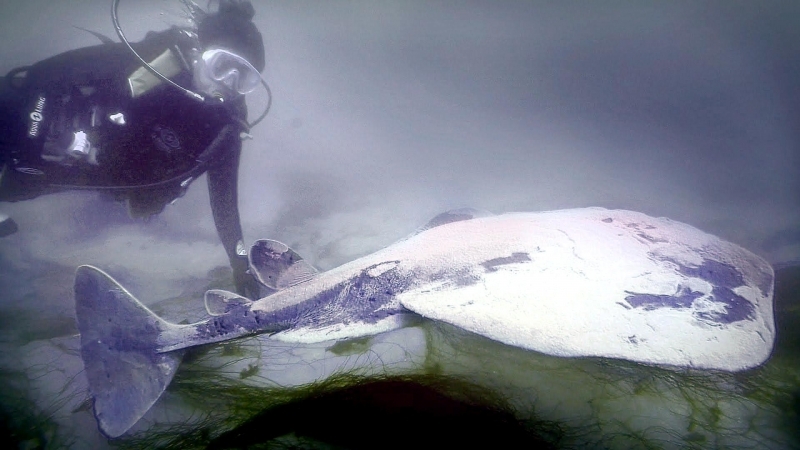 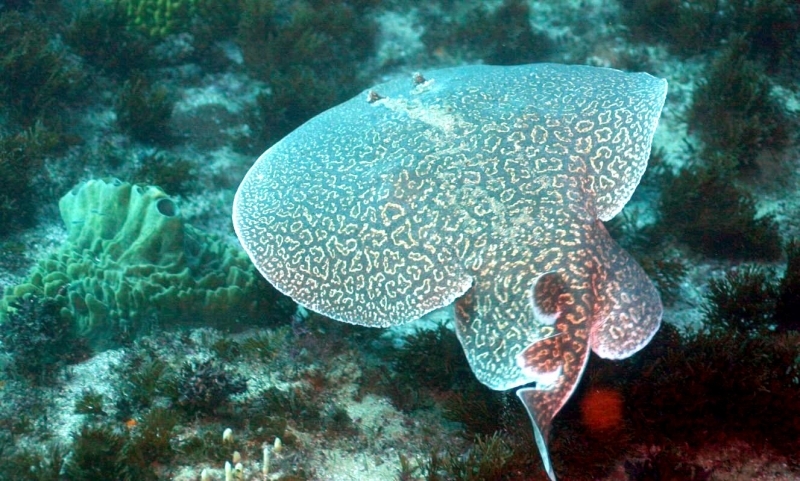 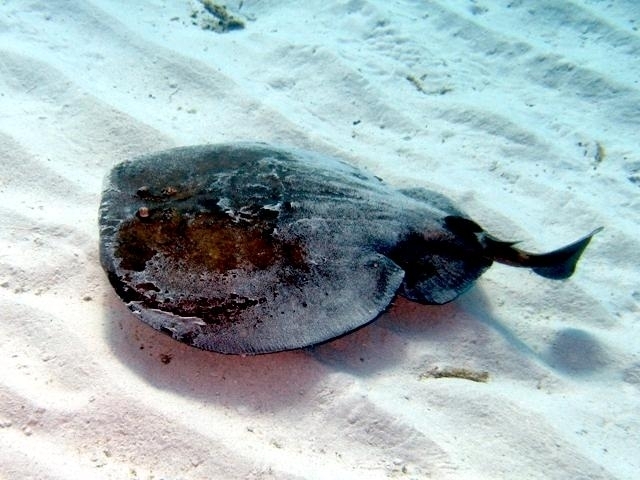 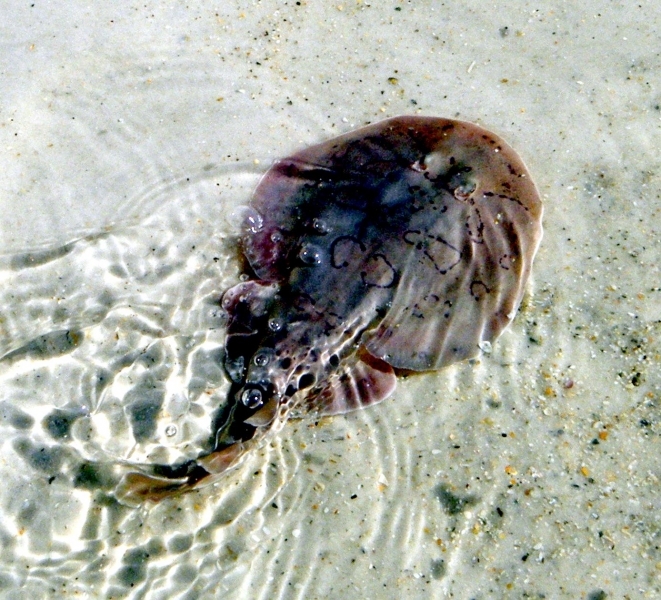 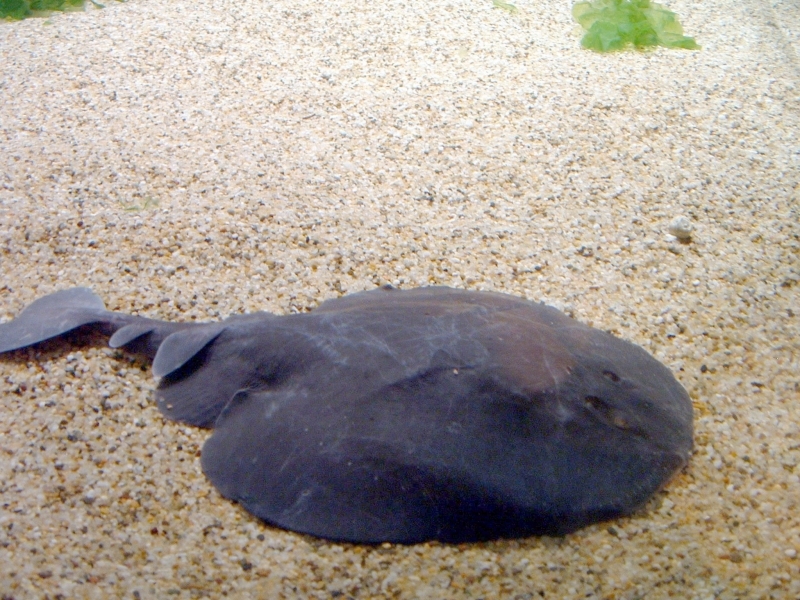 The female Marbled Electric Ray gives birth in November & December and litter sizes can vary between 5 and 32. 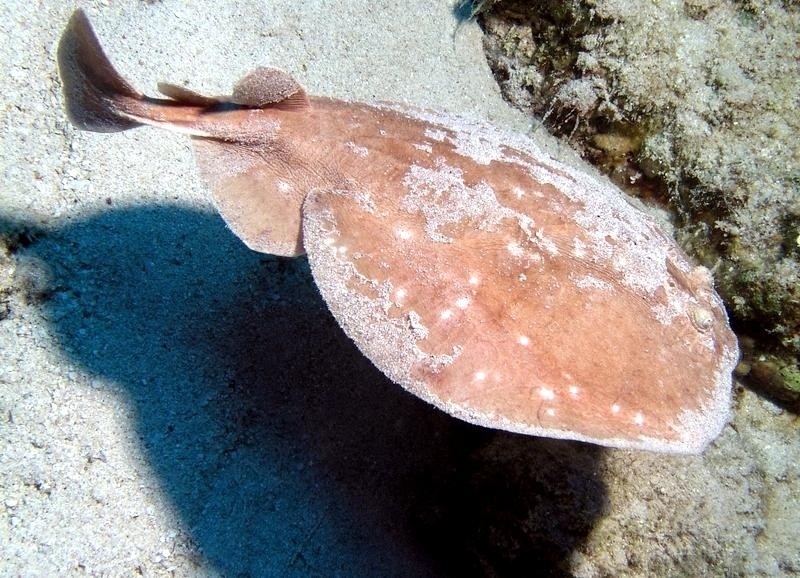 These young Marbled Electric Rays measure 10-14 centimeters in length and have fully functioning electrical organs which they can use for defense & hunting. 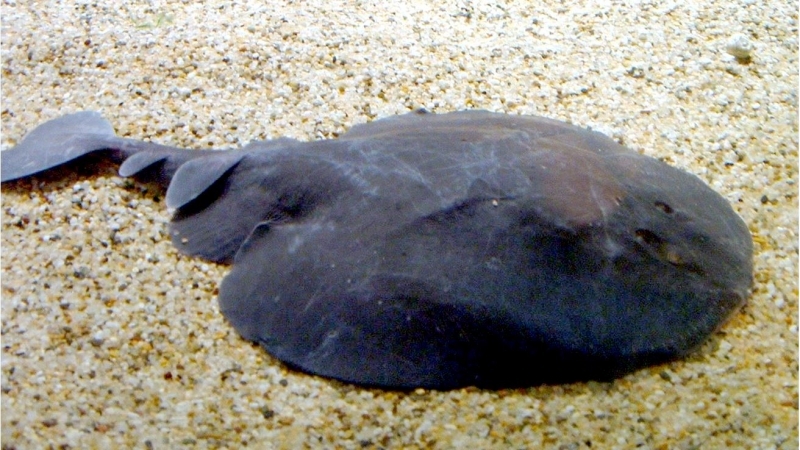 The inter-birth interval is at least 2 years and has been reported as long as 3 years.